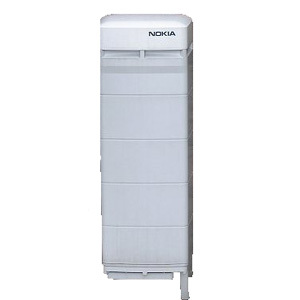 To maximize your value when you buy Nokia cellular base stations, consider the MetroSite system that includes a high-capacity base station, base station controller, transmission nodes and two integrated radio options for mobile support. With “site-less” installation options, your network can grow through mounts on existing buildings and poles to provide more WCDMA support. The Nokia MetroSite solution offers a high-capacity system designed specifically for GSM and supporting up to GSM 1800 networks. It currently is used across the globe to support millions of subscribers, guaranteeing hundreds of transmission access points per square kilometer with minimal signal interference. It relies on the latest in frequency band allocation technology to expand throughout the world. The overall solution includes a variety of components, such as the Metro Hopper radio and wireless access link that delivers unparalleled transmission quality. It can assist with even the densest microcellular networks while remaining compact and unnoticeable to many in its coverage area. Worldwide Supply stocks a complete set of used and refurbished Nokia MetroSite components and product family members to help you build out a smart, strong and reliable network. Cut down on delays and costly equipment overruns coming with traditional cellular equipment by choosing from the Nokia MetroSite family. You can save even more when you choose to work with us and our supply of certified, tested and field-ready used Nokia MetroSite solutions. Whether you need fast base stations that cut down on costly delays, support for 58 GHz in high-density networks, reliable microwave access, lightweight and compact units, or a top-tier transmission capacity, look no further than refurbished Nokia MetroSite options from Worldwide Supply.